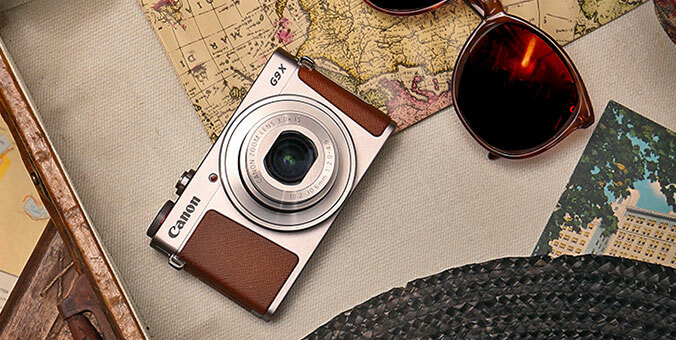 The PowerShot SX40 HS is a versatile compact point-and-shoot camera that easily captures amazing photos and videos. The Canon HS SYSTEM boosts low-light performance with the new Canon DIGIC 5 Image Processor and a high-sensitivity 12.1 Megapixel CMOS sensor. This advanced Canon technology delivers stunning image quality with reduced noise and blur. Colors are more vibrant and white balance is true-to-life. The 35x Optical Zoom offers incredible reach and range, allowing you to shoot any scene, near or far. The Optical Image Stabilizer helps images come out steady and clear, and a 24mm ultra Wide-Angle lens makes it easy to take pictures of large groups of people, tall buildings, expansive landscapes and much more. The camera also features a 2.7-inch Vari-angle LCD for great shooting flexibility. Packed with an array of powerful technologies, the PowerShot SX40 HS is a convenient digital camera capable of brilliant image capture. 1. Actual frame rate is 23.976 fps. 2. Actual frame rate is 29.97 fps. The latest-generation Canon DIGIC 5 Image Processor brings phenomenal increases in processing speed and power. Improved chip architecture and algorithms deliver greatly expanded functionality with further refinement in image quality. Improved noise reduction produces clearer images when shooting in low light at high ISO speeds. Enhanced i-Contrast performance adjusts differences between light and dark areas to achieve even more natural-looking results. The faster processing speed also results in faster continuous shooting capability while maintaining full image quality. The DIGIC 5 Image Processor also makes possible a new, highly advanced automatic white balance system. Whereas conventional white balance makes an overall adjustment based on a single type of light source, the new Canon Multi-Area White Balance analyzes several areas of the image to determine whether different adjustments are needed, for example, for the main subject and the background. The Canon HS SYSTEM lets you take bright, clear photos in an even wider range of shooting situations. Beautiful low-light shots are possible with minimal noise and maximum detail in highlight and shadow areas. The system is the result of two technologies brought together in PowerShot cameras: a high-sensitivity imaging sensor, which is able to capture more light; and the DIGIC Image Processor, which actively reduces noise with high-speed image processing. The 12.1 Megapixel Canon CMOS sensor in the PowerShot SX40 HS incorporates advanced light reception technology that enhances sensitivity. The new DIGIC 5 Image Processor provides a major boost in noise reduction, expanding the usable ISO range to an amazing high of ISO 3200. The Canon HS SYSTEM thus lets you use higher shutter speeds to capture clearer images with reduced noise and blur. The PowerShot SX40 HS is equipped with a Genuine Canon 35x Zoom lens that provides the telephoto power to bring your distant subjects incredibly close. It also features a useful zoom range that begins at 24mm wide-angle and extends to 840mm telephoto (35mm equivalent). The 24mm ultra Wide-Angle allows you to create shots with dramatic perspective and makes it easy to shoot sweeping landscapes, large groups of people and tall buildings. This superb lens delivers outstanding optical performance throughout its zoom range. It's advanced design employs UD glass, double-sided aspherical glass-molded and ultra-high-refraction-index glass lens elements to effectively suppress chromatic aberration while maintaining a remarkably compact size. The camera uses a VCM (Voice Coil Motor) for high-speed, quiet, energy-efficient lens movement with precise control. An online resource offering digital imaging education and photo and video sharing capabilities exclusively for registered owners of qualified Canon products. Members can read up on topics related to their products, how-to articles, and more. * Delay time (0-15 sec. (in one-second increments), 20/25/30 sec.) and number of shots (1-10 shots (in one-shot increments)) can be specified. Differs depending on the zoom position. 4GB 14 min. 34 sec. 20 min. 43 sec. 43 min. 43 sec. 13 min. 35 sec. 12 min. 58 sec. 25 min. 46 sec. 16GB 59 min. 40 sec. 1 hr. 24 min. 54 sec. 2 hr. 59 min. 3 sec. 55 min. 38 sec. 53 min. 7 sec. 1 hr. 45 min. 35 sec. 4GB 1 hr. 45 min. 52 sec. 3 hr. 21 min. 9 sec. 5 hr. 35 min. 15 sec. 3 hr. 43 min. 30 sec. 6 hr. 42 min. 20 sec. 11 hr. 10 min. 33 sec. 14 min. 34 sec. 20 min. 43 sec. 43 min. 43 sec. 16GB 7 hr. 13 min. 30 sec. 13 hr. 43 min. 40 sec. 22 hr. 52 min. 47 sec. 15 hr. 15 min. 11 sec. 27 hr. 27 min. 20 sec. 45 hr. 45 min. 35 sec. 59 min. 40 sec. 1 hr. 24 min. 54 sec. 2 hr. 59 min. 3 sec.